Whether you are just starting to consider a career in elementary education, are enrolled in an education degree program, or are starting your job search process, you may have some questions about how you become an elementary school teacher. This article is designed to outline all of the aspects of this process and to provide you with lots of tips and resources that will help you along the way. Best of luck! There are a number of job opportunities that you can pursue throughout high school and college that will be an asset to a career in education. Not only will they help you determine if this career will be a good fit for you but they will also help you build your resume. All of the previously mentioned jobs will still be great options if you’re looking for work any time during your college education. You may find that you have more opportunities and/or higher paying jobs once you have completed some education classes. For example, some daycare programs have levels for pay and for teaching responsibilities based on amount of education. Consult the career center and the education department. Many people who are looking for babysitters, tutors, write my paper for me help, camp counselors, etc. post listings with the university career center and/or education department. Your education professors may know about additional opportunities, too. Network with family and friends. If you will be moving home for the summer or heading somewhere else with a lot of connections, put the word out that you’re looking for work. You never know who may have a good job lead for you. There are numerous education programs around the country with lots of different options for part-time and full-time classes that serve a wide variety of schedules. Most likely location and/or finances will play an important role in your final decision about an education program. I strongly urge all education majors to consider a program that has endorsement options (i.e. reading endorsement) and/or dual major options (i.e. elementary education and special education). Elementary education jobs are very competitive. Having an additional major or endorsement will expand your job options. What if you are already attending a college without any education program? Accelerated program. There are accelerated teaching programs for individuals who already have bachelor’s degrees and primarily need teaching courses to get education degrees. Typically these programs can be completed in less than two years. Master’s degree. 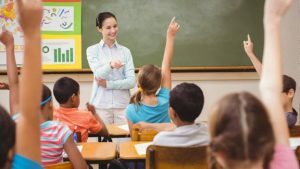 If you’re interested in finishing your current degree program, you can opt to get a teacher certification through a master’s degree in education. Switching schools. You may decide that you want to switch to a different school that does offer a teaching program. Is your current degree a good compliment for education? For those who are already on track to complete a major that complements education, such as social work or psychology, you may decide that your current major will be an asset to the teaching field. Thus it may be beneficial to finish that degree and then pursue an accelerated program or master’s degree in education. Now that you’ve started an education program, stay on top of everything. Keep track of your course requirements. Do not rely solely on adviser recommendations. Review all required classes periodically. Vary your field experience. No matter how much you love a certain grade, buy essay online or subject level, it is important to work in a variety of settings throughout your program. You never know what you may end up enjoying, nor do you know what job opportunities you will have. Complete all required state tests. Most schools will give you the resources for these tests as well as deadlines for completing them. Stick to their schedule to stay on track with your program. Complete your student teaching. If your program requires a portfolio as part of the student teaching experience, put your best effort into it. This portfolio can be a valuable asset for your job interviews. You can start applying for jobs any time during your final semester of school. Prepare a resume. If your education department does not have any sort of class or workshop that covers resumes, consult the career center. If you will be moving out of state, research the tests that you’ll need to take. Many states do not require the same standardized tests for teachers. No matter where you are job searching, get the license for your program state. Typically schools will let you fill out the paperwork during your last few weeks of school and will then mail it for you right after graduation. I have obtained 3 teaching licenses in addition to the one I got from my education program state. For every application process, having that initial license made the process much easier. Once you have that license, you can start applying for an additional license. Consult the education department for job opportunities and possible schools to submit applications. Even if you are applying for jobs out of state, many departments have connections in a variety of areas around the country. If needed, purchase appropriate interview clothes. As many school interviews are conducted during hot summer weather in buildings that may or may not be air-conditioned, a full suit is often not necessary. You should still dress professionally. Review interview questions and sample answers. You do not need to memorize answers but instead use these questions to prepare original answers. There are lots of resources out there for specific types of teacher interviews, such as special education. If you don’t already have a portfolio, consider putting one together. If you already have one, add or take out components as you feel is needed. Send a short thank you note or e-mail after interviews. What if you don’t get a full-time teaching position by September? The reality is that many fully qualified teachers do not get a teaching job with their first round of interviews. It is really discouraging when it happens to you, but it is most likely not a knock on your teaching abilities. There are a number of job options to consider that can help you get hired for the next school year or even mid-school year. Part-time teaching positions that you can supplement with other income. Additionally, you may want to consider taking more classes and/or getting a teaching endorsement to make yourself more marketable. There are several websites online for Essay writing as well that are providing best services especially in UAE. There is two or three top sites on search engine on the first and second spot. With the time changes and internet has become on our palms the competition is very high.